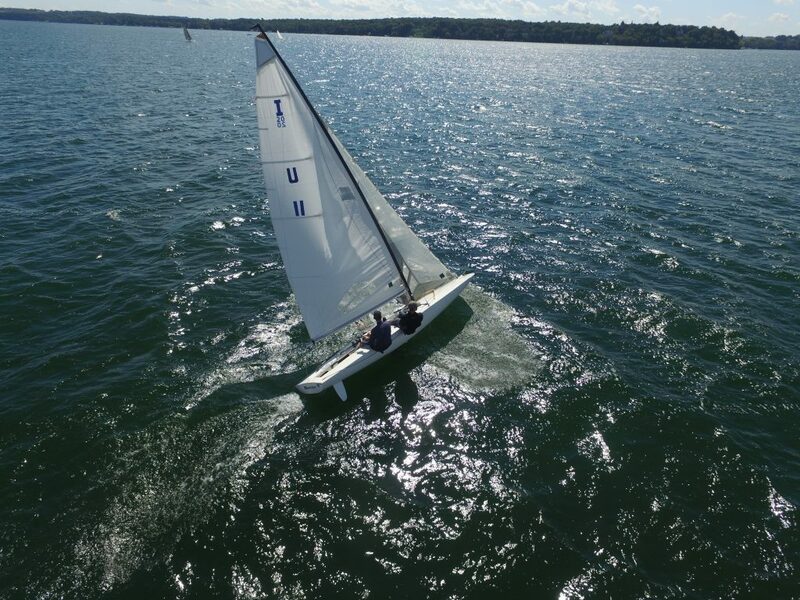 Inland 20 sailors will find their regattas a bit farther east in 2018 with the Nationals September 14-16 at Indian Lake, Oh., midway between Columbus and Fort Wayne. The club’s traditional Spring Regatta is scheduled for June 23-24. The Potomac fleet invited sailors to its annual Cherry Blossom Regatta in Washington, DC April 21-22. That fleet is also offering a new event it calls the Eastern Championship. The date has been changed to Sept. 29, to coincide with the Cantina Cup fundraising regatta for DC Sail. Download sailing Instruction here. The Lighthouse Regatta on Lake Winnebago, Wis. is in limbo due to the retirement of a key organizer according to Class Commodore Kenny Bolles, of Lake Wawasee, Ind. The Spring Regatta at Indian Lake in June is an opportunity to get prepared for the Nationals Regatta in September, according to promoter, Joe Ewing, vice commodore of the class. Ewing is hopeful his Ohio location will draw more boats because it is midway between two hotbeds of scow racing: Wisconsin and the up-and-coming Potomac River fleet. There are eight I20s on the Potomac, most near DC. Indian Lake has two hoists and, occasionally, wet slips can be found for boats. Ewing says there are plenty of choices for accommodations. “During these regattas they are permitted to camp on the grounds.,” said Ewing, with multiple shows and restrooms on the club premises, in the club house and the club’s bath house. Hotels are in nearby Belfontaine and Waupekaneta as well as lake houses that can be rented very reasonably. Indian Lake is also well known for Ewing’s pulled pork dinners, a phenomenal feed. “It is such a tremendous group of individuals. To spend a week with them it is something special,” Ewing said.